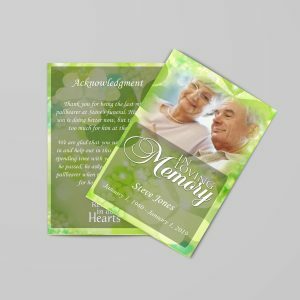 Creating an order of service for a funeral is a lot more than just putting together an itinerary. It’s a chance to work together with your friends and family. 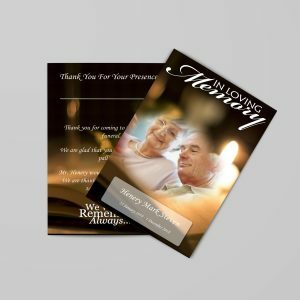 Choosing the photos, messages, and sentiments that symbolize the life of someone close to all of you, and deciding together the best way to present that celebrated life to a larger circle of friends and acquaintances. And for those who won’t be able to make it to the ceremony, a funeral order of service is the next best thing to actually being there. 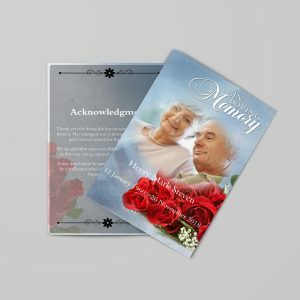 It’s a concrete connection to the person being celebrated, and something they’ll be able to keep for years as a reminder of how that person was honored. Music, songs, hymns or poems. 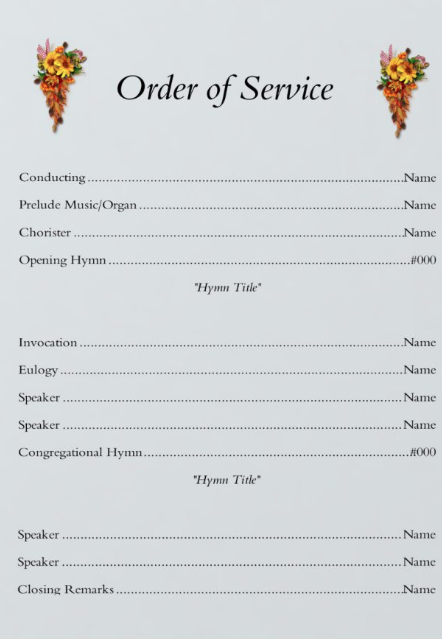 The specific hymns or scripture verses are usually listed for reference and highlighted in bold. Readers and speakers recalling memories of the honored person – these speakers are usually named in the order of service.